A revolution in triking. 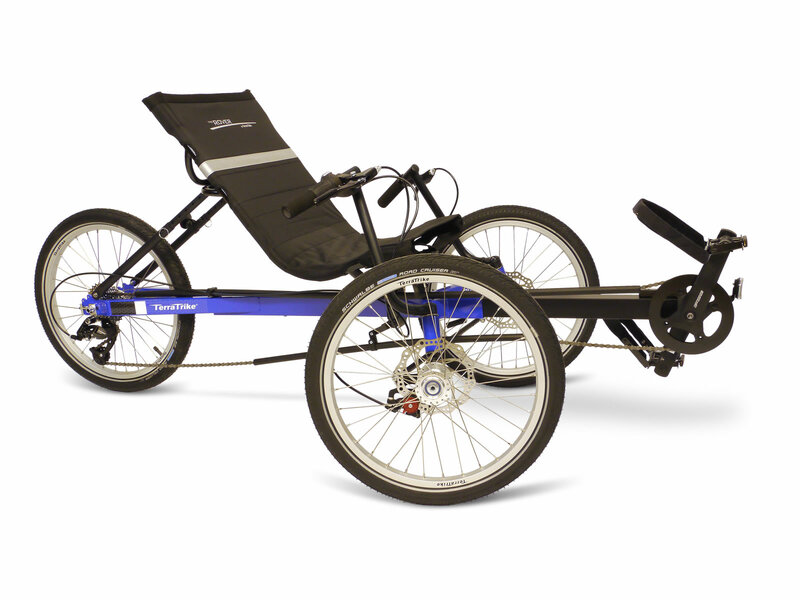 The Rover has introduced more people to triking than any other recumbent trike on the market. It has also restored health and happiness to thousands of owners who never thought they would be active again. The Rover is TerraTrike's number one selling trike, and is perfect for any type of rider - young or old, large or small. That's a pretty bold statement for a trike with a starting price lower than almost any other trike on the market. Its success, however, lies in its reliability and usability. Featuring one of the strongest frames in the TerraTrike lineup, and a high seat position, the Rover is perfect for anyone who needs a sturdy, no-nonsense machine. The Rover is also TerraTrike's most versatile trike, ideal for riders with adaptive needs.If you are ready to experience the joy of riding a TerraTrike, the Rover is the perfect way to make the leap. The Rover has changed the triking world, and it will change yours too. The Rover is designed to provide a smooth, comfortable and carefree ride. That is why we have made it available with an 8 speed internal or external drive as well as the continuously variable NuVinci drive (CVT) for the ultimate carefree riding experience. The robust Hi-ten steel frame provides a weight capacity of 400 pounds, more than most trikes on the market.The Rover features disc brakes, an easily adjustable seat, and twist grip shifting. It can also be outfitted to the nines with lights, panniers, fenders and more.